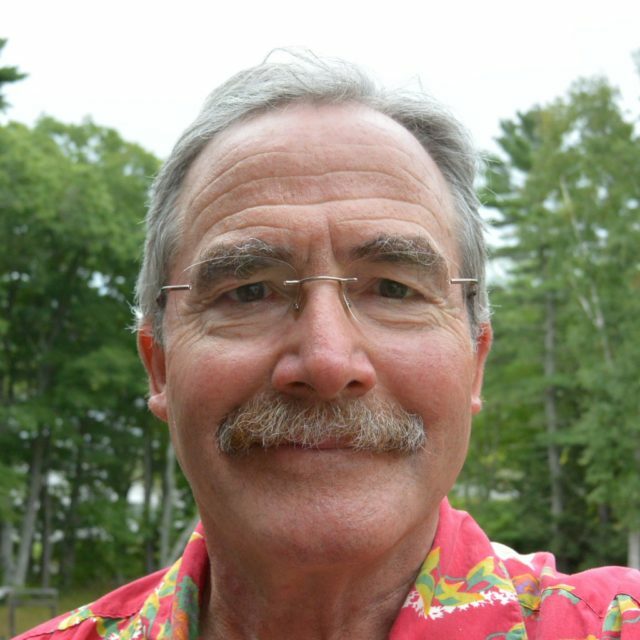 Don Hudson, Arrowsic, ME, developed an interest in plants and ecology in the early 1970s while leading expeditions for the Chewonki Foundation in Maine and Quebec. He graduated from Dartmouth College (1972, A.B. French and Environmental Studies); and received graduate degrees from the University of Vermont (1979, M.S. Botany) studying the reproductive biology of a rare Arctic plant on Katahdin, and Indiana University (1983, Ph. D. Ecology & Evolutionary Biology) studying aspects of the origin and evolution of a domesticated plant, the tomaté or husk tomato, in Mexico. Don became the Head Naturalist at Chewonki in1982, was appointed President in 1991, and retired in July 2010. Don was a founding board member of the International Appalachian Trail, the Friends of Baxter State Park, the Maine Green Campus Consortium, and the Allagash Wilderness Waterway Foundation, and has served on a number of other boards, councils, and commissions. Don received the Green Heart award from the Quimby Family Foundation in 2009, an Environmental Merit Lifetime Achievement award from the US EPA, the Distinguished Service Award from the University of Maine at Machias, the Espy Conservation Award from the Maine Land Trust Network and an Outdoor Hero Award from LL Bean in 2010. Don lives with his wife, Josephine Ewing, in Arrowsic, Maine. They have two sons, Charlie and Reuben.